Don’t you know when you tell me your expectations and ideas I am doing my best to make sure you have an awesome experience? 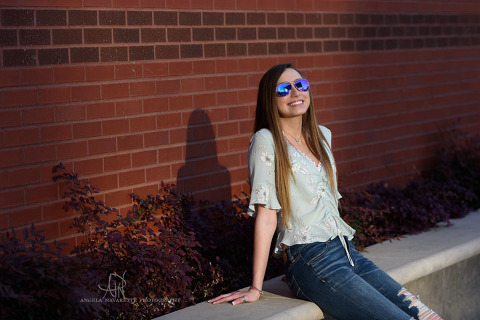 During our consultation and follow-ups, Lindsey mentioned wanting to go to Downtown Dallas for her Plano West Senior Pictures so there I was days prior to her session scouting the best spots to make sure she had a great time. I first met Lindsey and her very cool parents in front of the AT&T reflection pool the evening of their scheduled senior portraits session and that is where we began our fun. At the reflection pool in front of Booker T. Washington. High school seniors are so much fun. 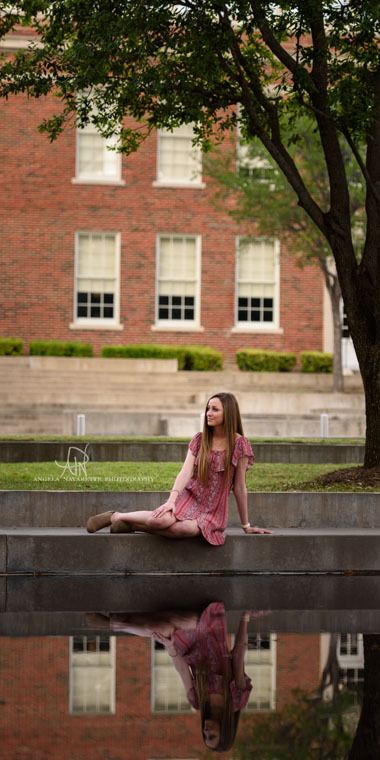 There is so much different scenery in Downtown Dallas it is a super cool location to shoot high school senior portraits with so much variety. Who doesn’t love the concrete jungle especially when it is decorated with beautiful buildings, art, and murals? The Reflection pool, Booker T. Washington, the Meyerson, little cafe tables and chairs, and even parks with greenery are all within a small walking distance. Just relaxing at the performing arts center Dallas, Texas. Direct sunlight downtown Dallas, Texas. I photograph seniors from all over the metroplex including Plano, Frisco, Allen, Richardson, Carrollton, Dallas, Rockwall and more. Give me a call! 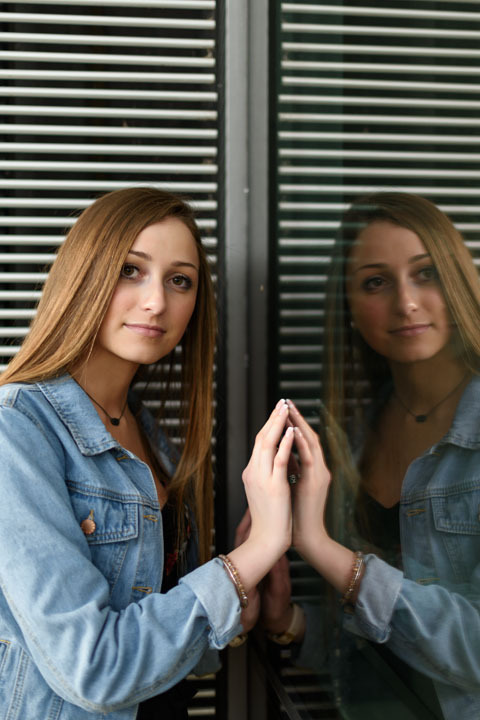 Plano West Senior Pictures session…Reflection in the window. Within two hours we had photographed Lindsey in almost 10 different spots and in 5 different outfits. How awesome is that? Need a place to change? No problem. I have changing tent for you so you can do it on the spot and we can be on our way! Lindsey and her parents had a great time as we walked around capturing some beautiful senior portraits. They will have an even better time enjoying their gorgeous timeless keepsakes for decades—fine art canvas with a protective finish and beautiful contemporary easel display of their favorite portraits to enjoy while their sweet girl is off at college. Thanks for a wonderful session! Hanging out in front of Booker T. Washington. 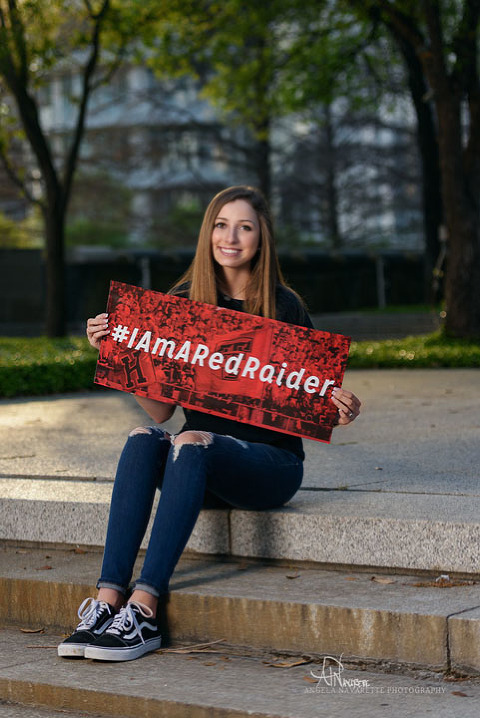 Bring your college acceptance signs for your Plano West Senior Pictures! 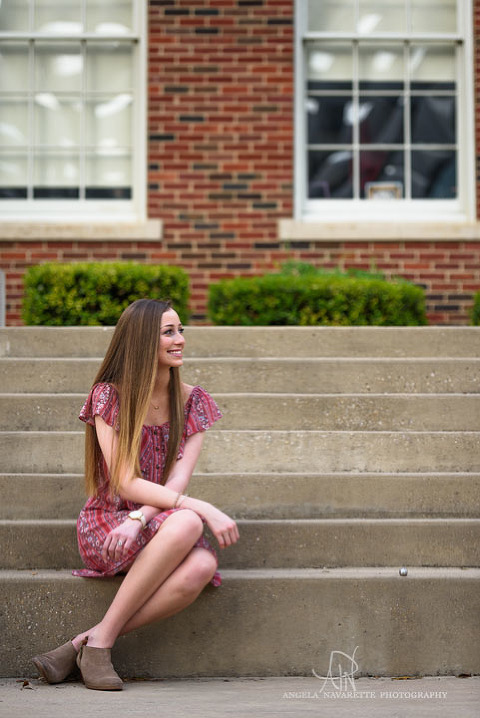 Check out more portraits from this sweet senior girl’s session. 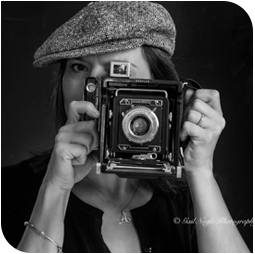 Interested in your own session? Book one today! Need more info on sessions for senior portraits?